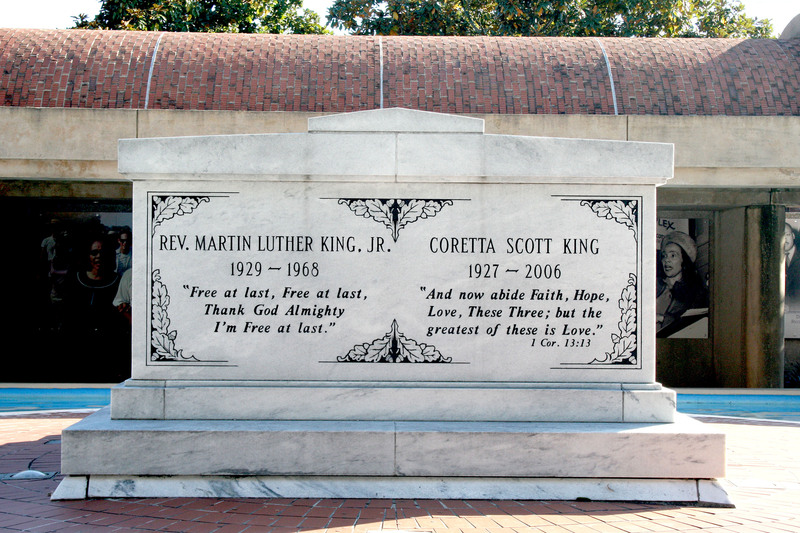 Today, we celebrate the great Dr. Martin Luther King, Jr., a man, who was a central figure in ther Civil Rights Movement and a leading advocate of non-violence. In 1964, he was awarded the Nobel Peace Prize as the youngest man and first black person to ever receive this honor. He is also one of my personal heroes. When I get asked who I would like to have dinner with, no matter if the person is alive or dead, he is always one of my answers. I imagine having a talk with him would be truly inspiring. 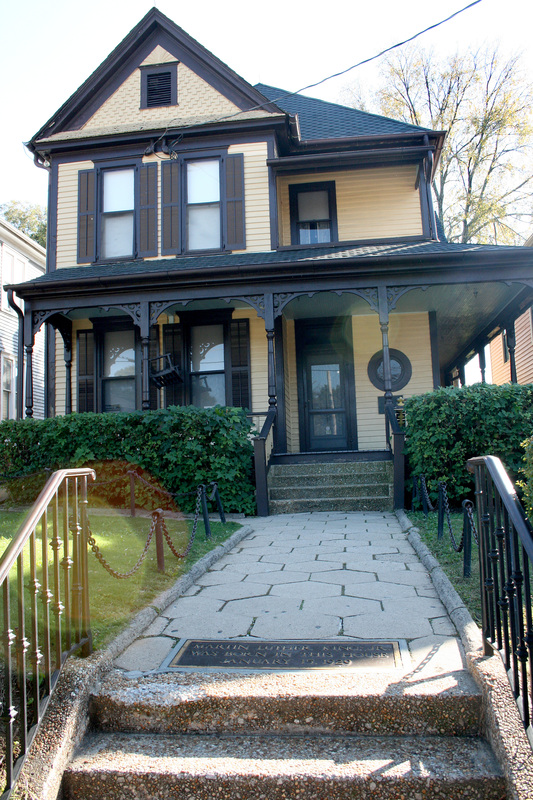 I’ve travelled to the South just to learn more about him and to visit important places of the Civil Rights Movement. I’ve even been to the his birth home, which was an amazing experience. So I thought, I’d put together a list with some of my favorite MLK quotes, which sadly are still absolutely relevant in today’s day and age. I’m pretty sure he’d be absolutely disappointed, if he was still with us, because let’s face it, a lot of the things he peacefully fought for, are developing backwards and getting worse, every day. So listen to his words, because he was truly a wise man. Let them inspire you to be greater and to evaluate, how you treat other human beings. Treat them with the same respect as you want to be treated. ♡ In the end, we will remember not the words of our enemies, but the silence of our friends. ♡ Nothing in all the world is more dangerous than sincere ignorance and conscientious stupidity. ♡ Our loyalties must transcend our race, our tribe, out class, and our nation; and this means we must develop a world perspective. ♡ A riot is the language of the unheard. ♡ The ultimate measure of a man is not where he stands in moments of comfort and convenience, but where he stands at times of challenge and controversy. ♡ A lie cannot live. ♡ I look to a day when people will not be judged by the color of their skin, but by the content of their character. ♡ The time is always right to do what is right. ♡ Even if I knew that tomorrow the world would go to pieces, I would still plant my apple tree. ♡ Love is the only force capable of transforming an enemy into friend. ♡ Almost always, the creative dedicated minority has made the world better. ♡ Injustice anywhere is a threat to justice everywhere. ♡ I have decided to stick with love. Hate is too great a burden to bear. ♡ Our lives begin to end the day we become silent about things that matter. 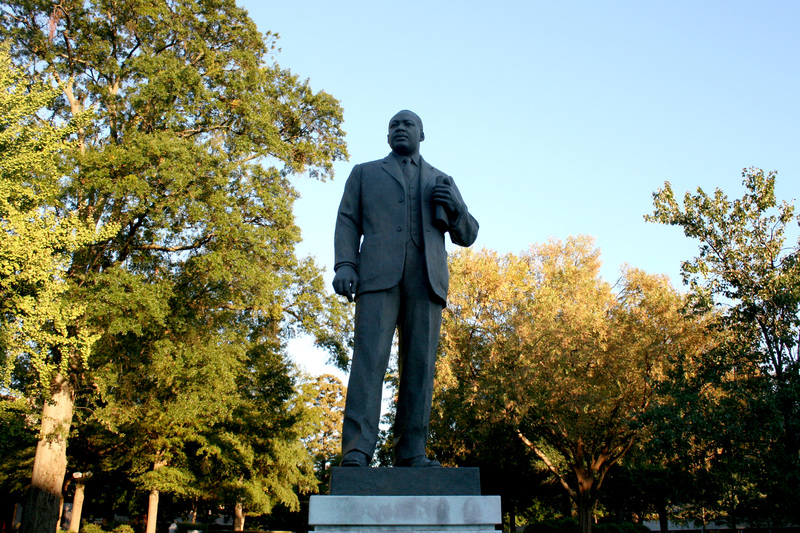 This entry was posted in Statement and tagged Atlanta, civil rights, history, list, Martin Luther King, MLK, quotes, South. Bookmark the permalink.